Plextor has introduced a new external Blu-ray Drive that is USB-powered, differentiating it from the company’s other Blu-ray hardware. The PX-B120U external BD-Rom allows Blu-ray Disc playback on a capable PC, scales standard-def DVDs, and comes with Cyberlink playback software. 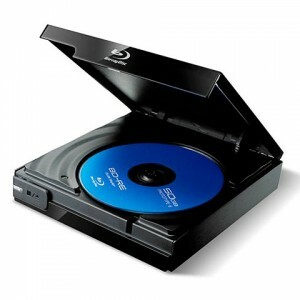 Supported media formats in the PX-B120U include DVD+ /- R, DVD +/-RW, DVD +/- R DL, DVD-RAM and CD-R. In addition to BD playback on a PC, Plextor will soon release a device called PlexMedia which will enable Blu-ray playback on HDTVs. “The PX-B120U is great for on-the-go viewing and can also serve as the Blu-ray player at home,” said Christine Hsing, Marketing Manager at Plextor. The Plextor PX-B120U (now available in the U.S.) comes with a sticker price of $99.99. Plextor produces other electronics such as solid state drives, Blu-ray Disc writers, home network storage solutions, and DVD drives.